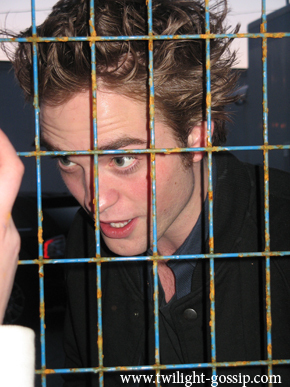 Robert on the set of new moon. Robert on the set of new moon. Wallpaper and background images in the 로버트 패틴슨 club tagged: robert pattinson robert pattinson twilight. This 로버트 패틴슨 photo contains 보유 셀, 홀딩 셀, 셀을 잡고, 형사 기관, 형사 시설, 형벌 기관, 셀, 감옥, and 세포.